This time of year results in two things: the need for last minute gifts and sudden snacks. So here is something that can fit both needs, get the kids involved in the festive planning, and this Peppermint Popcorn recipe won’t pack on the holiday pounds. Estimated nutrition content per serving: 160 calories, 5g of saturated fat, trace cholesterol, 98 mg sodium, 22 g carbohydrate, 1 g fiber, 1 g protein. What you need: The best option is to make air-popped popcorn using an Air Popcorn Maker , but if that isn’t an option, consider making it over the stove, making un-buttered microwave popcorn, or buying a bag of un-buttered popcorn, like this Whole Foods’ version. Kid-friendly tip: Have them pour the kernels into the air popper, press the start button on the microwave, or help pour the store bought popcorn into a bowl. Healthy option: Whether making or purchasing pre-made popcorn, consider buying organic. 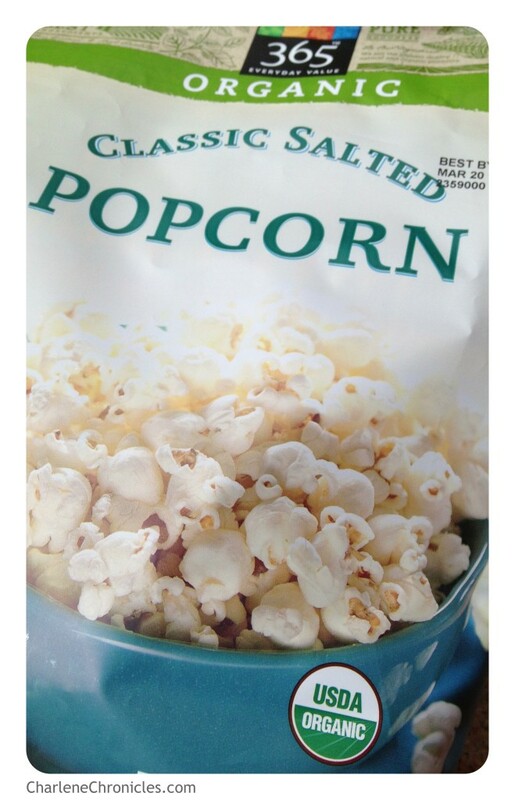 You can even select low-sodium pre-made popcorn too. Since this popcorn recipe is made without butter, you eliminate fat and calories! What you need: 4 to 6 candy canes or a bag of peppermints. Kid-friendly tip: Place the candy canes or peppermints in a Ziploc Storage Bag (covered with another Ziploc bag in case the first one breaks) with a little opening for air. Then let the kids stomp on the candy to crush it or send them outside (with supervision) to hit the bag with a toy hammer. Healthy Option: Consider buying candy canes made without artificial sugar, dyes or preservatives. 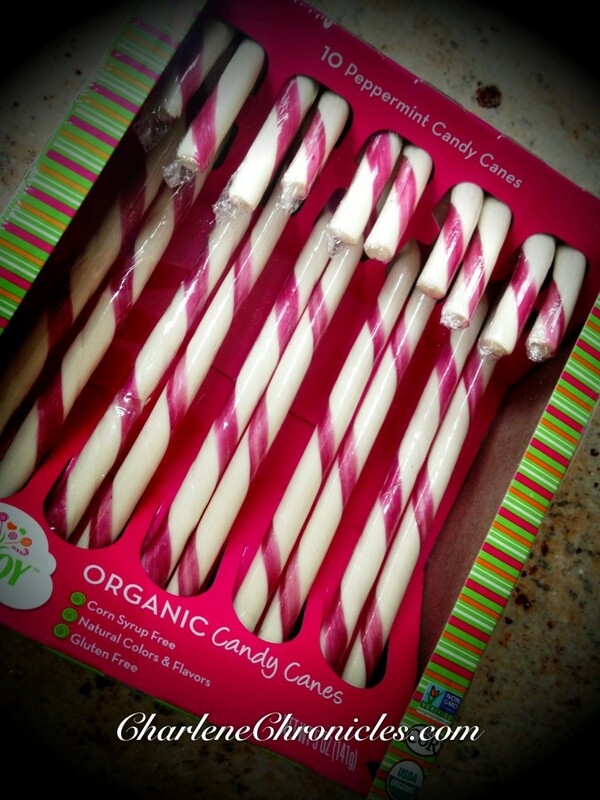 Look for organic candy canes made without corn syrup, like these from Whole Foods. What you need. Good quality white chocolate Candy Melts found at candy supply stores, like Michaels or Amazon.com. Kid-friendly tip: Kids can help stir. Healthy Option: You can substitute the candy coating with real chocolate. The difference between the two is the base. Candy coating typically has a palm kernel base while chocolate has a cocoa-butter base. Real chocolate won’t have the coating consistency, but it will taste good too. You can also substitute dark chocolate for more antioxidant benefits or cut back on the amount if you would like to cut out more calories. In a large bowl, combine the popcorn and crushed candy. Then pour candy coating (or chocolate) over top and toss to coat. Kids can help stir! Pour onto a waxed paper-lined baking sheet. Leave to harden. When hardened, break apart. Kids are great at this part too! Wrap it or eat it! Store in an airtight container. At your holiday party, place in a pretty glass bowl. For gifts, consider purchasing cute tin containers or festive boxes, like these adorable Gingerbread Cardboard Treat Boxes . Kids can help put the treats in the boxes and deliver to teachers, friends, the mailman and more. Yet, importantly, it is a easy recipe to whip up. With the salty crunch of the popcorn, the sweetness of the chocolate and the burst of refreshing peppermint, the only problem you will have is making sure there is enough to go around! With all of the holiday treats out there, this is a healthier option than cookies and cakes. The popcorn cuts down calories while the airiness fills you up. If you find good quality candy canes make with real peppermint, there may be some health benefits as shown in this Harvard Medical School article. Compensation was not provided for this post. All thoughts and opinions are my own.